A livestock truck carrying nearly 3,000 piglets overturned on Interstate 70. The incident happened between Casey and Greenup, Illinois. Police say the driver of the truck became ill, leading to the crash. The driver was cited for improper lane usage. 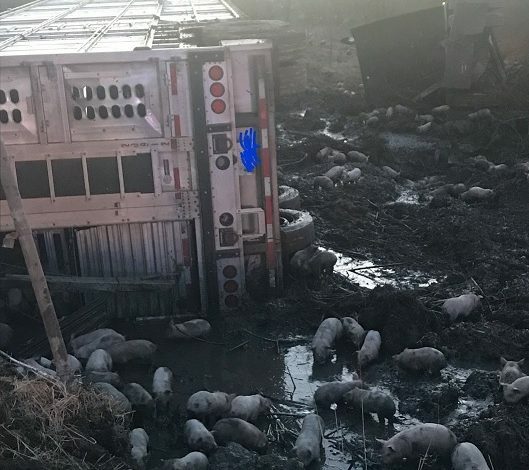 Unfortunately, about 100 pigs were killed in the crash. It took several police and fire agencies to wrangle the rest of the 3,000 piglets. The surviving pigs continued their destination in Indiana.